It was a clash of old and new. In the lobby of Brussels’ Plaza Hotel were ornate chandeliers, royal portraits and a marble staircase. In the adjacent conference room, compliance officers from across Europe were discussing how the latest trends in technology can help them meet the growing risks to businesses. The experts agreed that some of the most promising risk technologies leverage artificial Intelligence, blockchain and biometrics. Over the course of the day, experts presented the latest technologies which compliance officers can employ to manage these growing risks. From the discussions, it became clear that many companies see Artificial Intelligence (AI) as a growing strand of their strategy for mitigating risks and finding new strategic opportunities. For example, a leading financial institution explained how they were using robotics to perform checks before offering a product. They are piloting the use of AI in their Know Your Customer checks and considering introducing AI in their customer due diligence procedures. The afternoon session was led by Marc Strackx, who previously worked for the Belgian government and in a bank’s compliance department. He said biometrics are a more efficient way for banks to combat money laundering by ensuring a customer is who they say they are. “With millions of transactions, we need to be sure the right person is carrying out a transaction,” he said. “In all other systems a badge or password can be stolen, transferred, copied or lost, but you cannot change your biometrics identity.” He said biometrics can be also used to prevent data theft, hacking, identity theft and fraud. 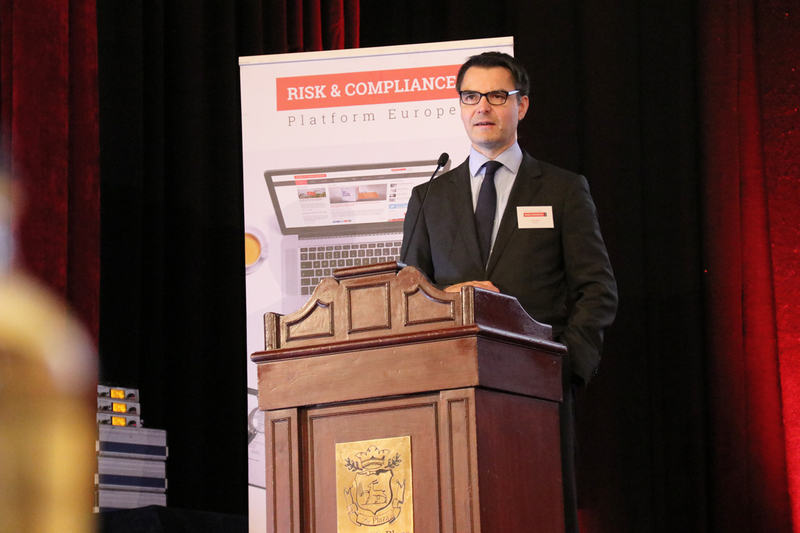 A representative from the multinational drinks firm AB InBev explained how technology has been at the heart of a big change in the firm’s compliance and due diligence processes since 2012. Matthias Eisenbarth, head of anti-trust and competition law in Europe, said the firm uses video messages to keep its 200,000 employees around the world informed of its compliance policies. It has set up a website portal which allows employees to put questions directly to the compliance team. The firm has also developed a data visualisation tool which the compliance team uses to give an overall risk score to requests from employees around the world. This takes into account the level of risk in different markets—for example, even an apparently minor issue would be given a red flag if it involved transactions in Russia. Machine Learning (ML) is being used to improve AB InBev’s detection of unusual behaviour in employee expense claims. Employees must log all expenses on a system before they are paid. The data is processed using ML technology and any transactions which appear unusual are flagged up. Technology was once seen as the future of risk and compliance, but this conference demonstrates technology is already crucial to better risk management.